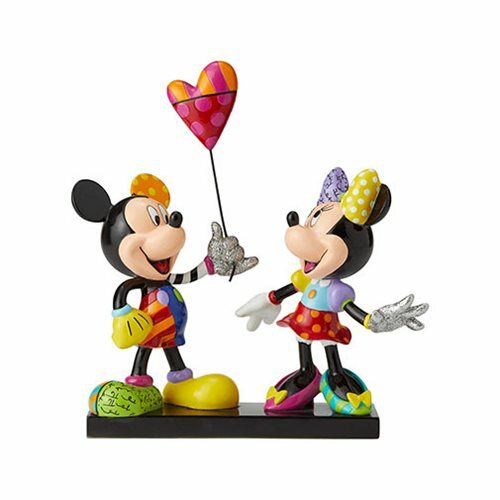 Mickey and Minnie take a romantic afternoon stroll in this whimsical Disney statue by Romero Britto. Mickey clasps a heart balloon that floats above them, creating a cheerful scene. Admire their jubilant expressions and unique details, like their sparkling, glitter gloves. The Disney Mickey Mouse and Minnie Statue by Romero Britto is limited to 3,000 pieces and is made of resin. Measures about 9 1/2-inches long x 8 1/2-inches tall x 4-inches wide.